Remembering 9/11, or Forgetting It? My wife and I were up at the top of the World Trade Center a few days before the millennium. We spoke to the elevator operators. We saw the servers setting tables in Windows on the World restaurant. We bought Nathan’s hot dogs from the guy behind the counter. We joked with the two women who worked in the souvenir shop. 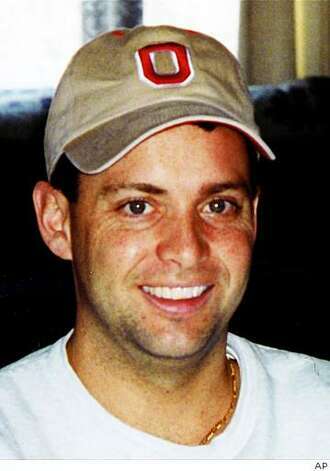 After 9/11, everyone talked about the employees of major financial firms who died. But what about the hundreds of maintenance workers and others? They were real people with families and friends, hopes and plans. They were Americans. Does this photo mean anything to you? 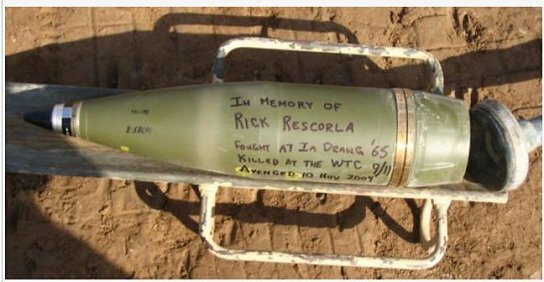 Rick Rescorla, chief of security for Morgan Stanley, safely evacuated all 2,700 employees on 9/11, except for six. Four of the six were himself and his three deputies (two pictured above): Wesley Mercer, Jorge Velasquez, and Godwin Forde. That’s true multiculturalism. Rick led his people to safety, shouting encouragement and singing songs through a bullhorn. 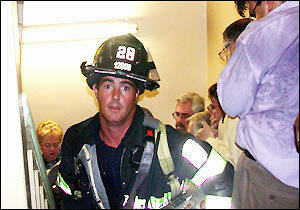 The firefighter going up the stairs when most people were going down is Mike Kehoe. From the expression on his face, I would guess that he had doubts about his survival. But he did survive. He got out about 30 seconds before the tower collapsed. But 343 of his fellow firefighters were not so lucky. In order to have survivor guilt, you have to survive. God help me. Jesus help me. Are you ready? Let’s roll! Beamer played a key role in the passengers’ revolt against the terrorists. As a result, the airliner crashed into a field in Pennsylvania, and not into the Capitol Building or the White House, thereby saving many lives. Revealingly, his timeless words were omitted from the film “United 93.” Hollywood doesn’t like to say anything positive about Christianity, even if it is factual. Maj. (then Lt.) Heather “Lucky” Penney was with her Air National Guard unit at Andrews Air Force Base on 9/11. When it became clear that we were under attack, she and Col. Marc Sasseville took off in F16s – unarmed because there was no time to arm them. Col. Sasseville said, “I’ll take the cockpit,” clearly implying that Lt. Penney should take the tail. They planned to ram the airliner headed for the White House or the Capitol Building. They knew they would have no time to eject. Later she served two tours in Iraq. Whether we know it or not, our lives depend on people like Maj. Penney – people who risk their lives to make up for the blundering and dithering of chairborne poseurs, paper-shuffling careerists, and political gasbags. And what about this photo, which resembles the Pietà? 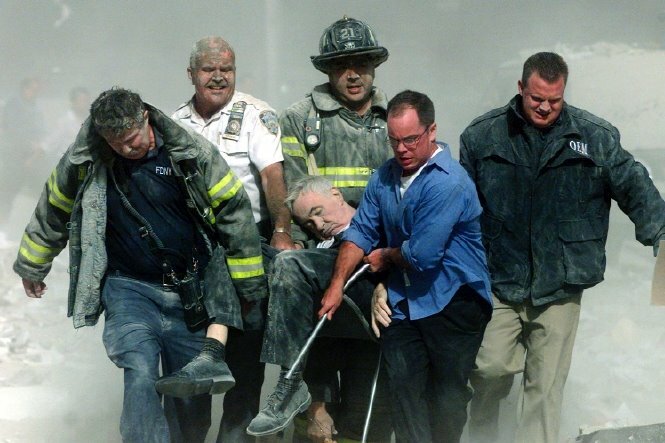 Father Mychal Judge, OFM, was chaplain of the Fire Department of the City of New York. He was ministering to the injured and dead when debris from the tower killed him. He was carried to a nearby church and laid in front of the altar. He was the first recorded fatality of 9/11. Another priest, Father George Rutler, rushed to the scene. He saw a line of firefighters moving into the building with grim expressions. Realizing that they might not survive, he granted general absolution, as if to troops going into combat – which, in effect, they were. The firefighters knew the risks, but they went anyhow. That is the essence of courage. In all, at least 2996 human beings died at the World Trade Center, the Pentagon, and the field in Pennsylvania, while over 6000 were injured. The exact total will never be known. Even now, 1113 bodies and body parts remain unidentified. To fail to remember an event of such magnitude suggests some sort of national Alzheimer’s. But many people barely remember 9/11. They see nothing wrong with building a mosque near Ground Zero. They do not realize that this building is already a holy place – because of debris from a Boeing 767. They do not realize that it would be similar to building a Japanese Shinto shrine at Pearl Harbor, near the USS Arizona Memorial. 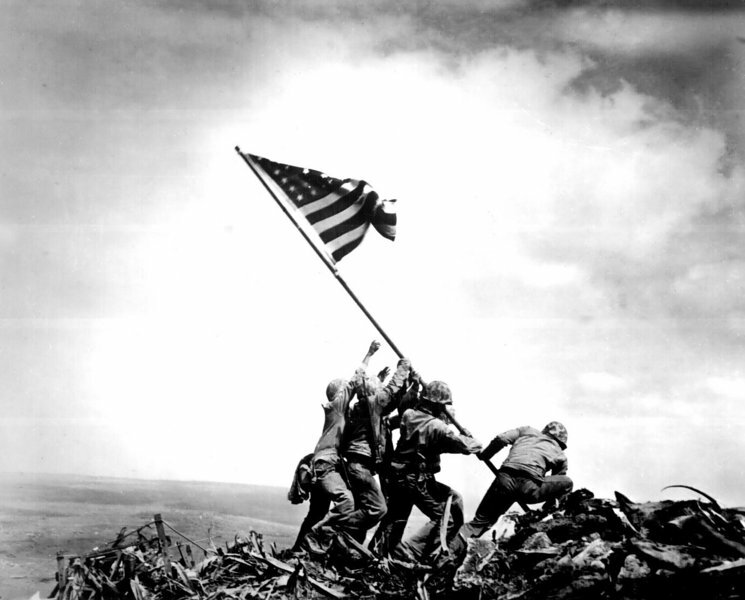 They do not realize that, like our troops raising our flag on Iwo Jima, it would be a symbol of victory − but not our victory. President Obama proposed that 9/11 be a “National Day of Service” marked by volunteering for the poor. But this has nothing to do with remembering 9/11 – and absolutely nothing to do with preventing a recurrence. On the contrary, Obama ordered officials to minimize mention of Al Qaeda, as if not mentioning it would make it go away. The problem with 9/10 thinking is that it leads to 9/11. If you are beaten up, I have no right to forgive the attacker. But at least I understand what it means to be beaten up. What can I grasp about 9/11? I have no idea of the incredible pain the relatives and friends of the victims felt, as they waited for the bodies − or parts of bodies − to be found. Many are still waiting. I have no understanding of the additional pain felt by victims’ families when they watched TV and saw supporters of terrorism dancing in the streets of the Middle East ‒ and even in the streets of America ‒ when they learned of the 9/11 attacks. You can’t buy the friendship of people like that. You can only rent it, on a month-to-month basis. The only aspect of 9/11 that I have a right to forgive is the emotional distress I felt watching it on TV – a microscopic part of that event. For me to usurp the right to forgive the terrorists would be arrogant and egotistical. Only the victims have the right to forgive. And they aren’t here. 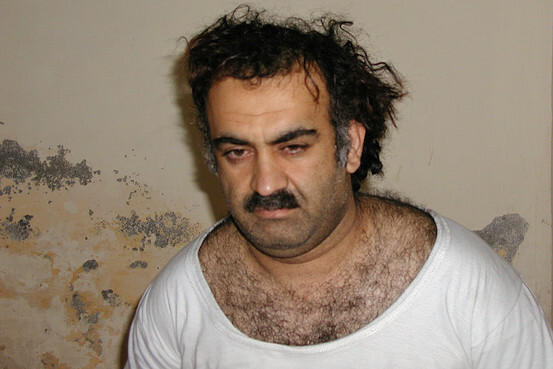 Instead of being angry at the perpetrators of 9/11, some people are angry at those who waterboarded three (only three) terrorists, including one of the chief planners of 9/11, Khalid Sheikh Mohammed. As a result of information he revealed, a plot to crash a plane into the Los Angeles Library Tower was broken up, saving thousands of lives. Now known as the U.S. Bank Tower, it was the tallest building west of Chicago. This 73-story building is also the tallest building in the world with a helipad on its roof. If there had been a helipad on even one of the Twin Towers, hundreds might have been saved. But 17 years later, this idea has yet to occur to those who write building codes. This does not mean that we should involve ourselves in every conflict in the Middle East. On the contrary, we should stay out of such conflicts unless the security of ourselves or our friends is endangered. But if it is, we should use not a “light footprint” but a size-14 boot stomp. Our object should be to encourage our friends and frighten our enemies, not the opposite – which we were doing until recently. Threatening to wage a “minimal” war makes us look weak. No, it proves we are weak. This is the six-year anniversary of the terrorist attack on our diplomatic mission in Benghazi, Libya. Ambassador Chris Stevens, Foreign Service Officer Sean Smith, and former SEALs Tyrone Woods and Glen Doherty were killed. They asked for more security – it was denied. They called for help – we didn’t come. They were killed – we did nothing. How’s that for looking weak and incompetent? 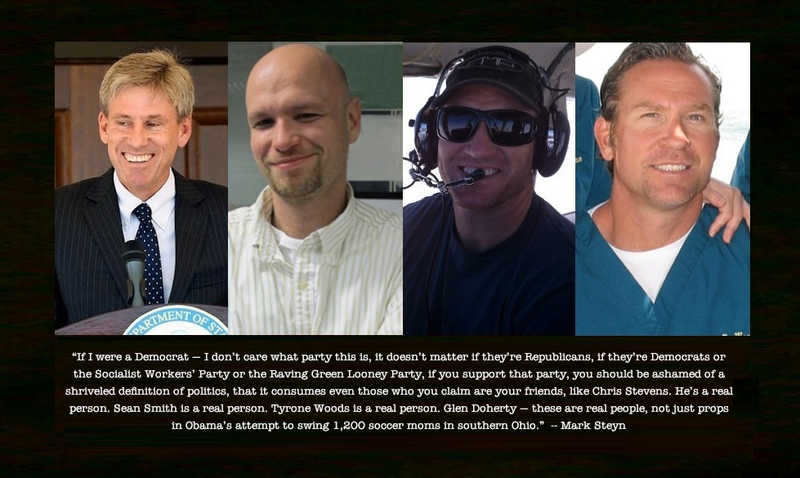 Yet former Secretary of State Hillary Clinton, for whom Ambassador Stevens worked, claimed, “We didn’t lose a single person in Libya.” No, we lost four. Is she a liar or an amnesiac? What difference, at this point, does it make? We can have “Leave no man behind,” or we can have “Cover your behind.” It’s our choice. Some argue that the terrorists are trying to goad us into getting involved more deeply, so we should do nothing. These people forget the long series of terrorist attacks that led up to 9/11. We did nothing then, so the attacks escalated until we had to act. Must we wait for another 9/11 before we act now? In fact, by doing nothing, we are goading the terrorists into escalating. If we learned nothing from a terribly costly lesson like 9/11, what does that say about us? On the contrary, we lift economic sanctions on Iran in return for an inspection regime that is dubious at best. Will Iran proceed to develop nukes and the missiles to deliver them? Don’t ask embarrassing questions. After all, 9/11 was so long ago, wasn’t it? The motto of Scotland is Nemo me impune lacessit. It is usually translated as “No one attacks me and goes unpunished.” The Scots render it informally as “Who dares meddle with me?” In the days before political correctness, we Americans used to be even more direct – as witness “The Ballad of Mike Moran.” Listen to it, and remember when America was still America. We are forgetting who we are and where we come from. We have trouble distinguishing our friends from our enemies. We are losing our identity in a sort of national Alzheimer’s. Such people are easily reduced from citizens to subjects. We should emulate Lady Liberty. 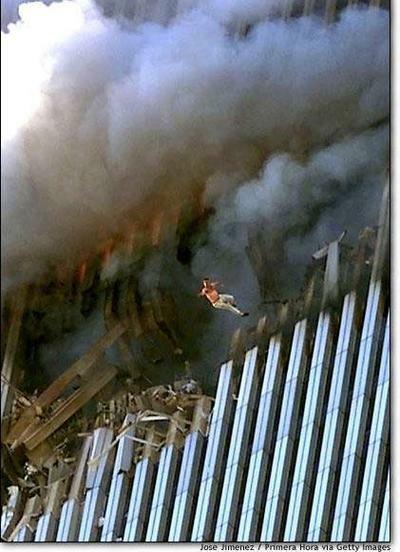 On 9/11 she had her eyes wide open, facing the burning towers. If we hope to remain free, we must keep our eyes open as well, and face squarely the dangers that continue to confront us. The purpose of remembering 9/11 is not merely a history lesson. Like remembering the Holocaust, the purpose is never again. If these videos don’t move you, check yourself for a heartbeat. The death toll of 9/11 is still rising. At least 2000 first responders and civilians have died thus far of lung cancer, mesothelioma, and other diseases. 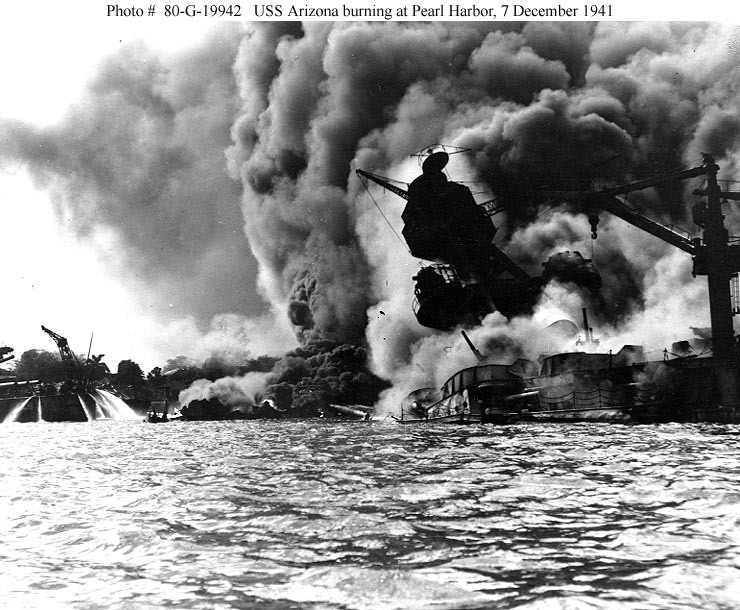 Just as the exact death toll that day will never be known, the ultimate death toll will never be known – it is still rising, and may evetually exceed 10,000.